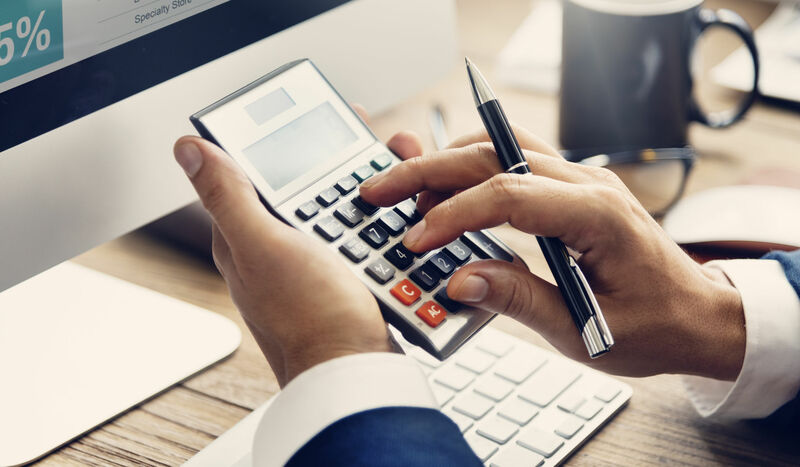 In this guest post, Thomas Fogt, Product Marketing Manager and Søren Sieg Jensen, Partner and CTO of Cykelpartner, will guide through a how-to on calculating the effect of Google Seller Ratings. Learn more about Cykelpartner and Trustpilot by checking out their case study with an updated video here. Google has recently made the automated Adwords extension Google Seller Ratings (GSR) available in all markets. This means companies across the globe can take advantage of the benefits GSR provides in search marketing efforts. Google states Seller Ratings can boost your text ads’ CTR by up to 10% which can make a big difference to any company battling with their competitors on Adwords. For an optimized Adwords campaign running with a decent budget, just increasing the CTR 1% can generate a lot of money in additional revenue and can also lead to significant savings when Google’s bill comes around! What is Google Seller Ratings? Google Seller Ratings showcase advertisers with high ratings (above 3.5 stars) aggregated by Google from reputable business review sources. Here’s an example below. Google Seller Ratings are displayed in text ads in Adwords, Search Network campaigns, and on Shopping Ads in Google Shopping. Read more about Google Seller Ratings in our support article here. How effective is Google Seller Ratings for your company? A 10% increase in CTR is quite the increase so the question is - will you get this amazing 10% CTR increase too? How can you track it? What effect can you expect to get? We worked with Søren from danish Cykelpartner.dk to calculate and track the effect of GSR on their Adwords. After some hours trying different things, scratching our heads, and playing around with Excel, we found an easy way to calculate it! We put this how-to-guide so you can calculate how Google Seller Ratings affects your Adwords performance. Please note: This page will be blank until you qualify for Seller Ratings. Learn how to get them here. Not all campaigns will have Seller Ratings so if you can’t find it on one campaign, try and check another. The overall campaign data contains a mix of data from ads with and without Seller Ratings so you should use a spreadsheet to calculate the difference between the two ads. Type the “Seller Ratings” data into the Seller Ratings row. The spreadsheet will automatically calculate the data from ads without Seller Ratings, the difference between the ads with and without Seller Ratings and ultimately Seller Ratings effect on your ads. Please note: Our spreadsheet and how Google Adwords calculates eg. CTR, CPC, Conversion Rate and CPA can differ slightly as the tools use different amounts of decimals when making the calculations. So please expect minor discrepancies when comparing to the Adwords numbers as below. So on this specific campaign Cykelpartner.dk saw their CTR decrease 4.45% and CPC increase 7.04% which of course isn’t what we expected nor wanted to see when Google states they can improve CTR up to 10%. As expected, one company’s experience can be massively different compared to an average. However, more importantly, their Conversion Rate jumped a massive 34.66% resulting in a substantial overall 20.51% decrease in Cost Per Conversion/Acquisition (CPA) the ads with Google Seller Ratings - which is what you should focus on. 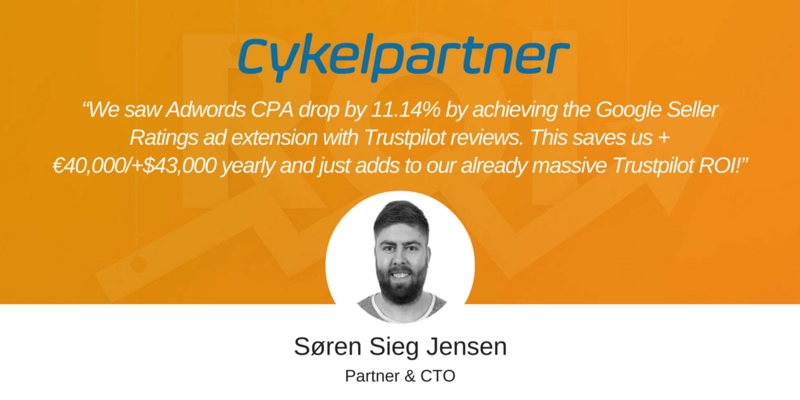 Ultimately Google Seller Ratings provided Cykelpartner.dk an average 11.42% decrease in CPA and saves them more than €40.000/yearly! 7. Time to calculate your effect! We strongly recommend you enter data from 5 different campaigns to get an average that can be used to calculate your Adword's effect based on your yearly Adwords spend. The spreadsheet will automatically calculate if you input your yearly Adwords spend in the bottom of the spreadsheet. Please note: If you see a positive number, it means Seller Ratings are saving you money. If you see a negative number, then it means it is costing you money. If needed, there’s an example in the bottom showing how you should fill the data in correctly. Have you looked across a representative number of campaigns for your account? For some 5 campaigns is not enough as results can vary greatly and some might have a negative impact but overall it should be positive. Know your competitive environment. Do your competitors have better Seller Ratings and more reviews than you? Did your avg. ad position drop on your ads with Seller Ratings? This can, of course, affect the ad performance. Consider whether Google Seller ratings are right for your company. They might just not work for your business, industry, Adwords setup, bidding structure etc. Because Google Seller Ratings are an automated extension, you need to disable them if they are producing negative results. See how here. Consumers have an abundance of choice today and it requires quick decision-making and adapting to a new consumer environment for businesses. If your competitors have a better Seller Rating and/or more reviews than you, they might be beating you to the sale. If that’s the case, the way to get ahead to get more reviews and a better rating by improving your review collection and your service. Most businesses have an abundance of happy customers but they don’t proactively invite all customers to leave a review of them on a Google Seller Rating qualified platform. Proactive collection will lead to a higher quantity of reviews and offers a better representation of your company. Remember, an unhappy customer will always find a way to make their voice heard so it’s up to you to make sure you’re giving your happy customers a platform as well. 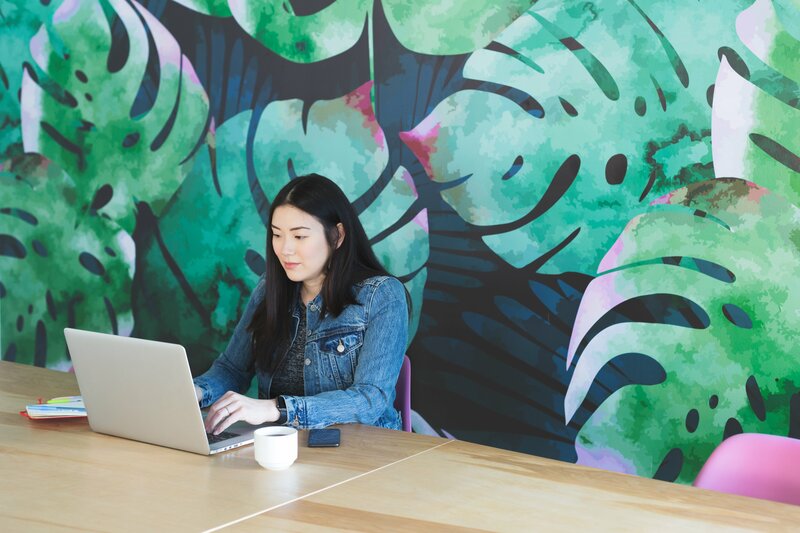 Reviews aren’t only beneficial for your potential customers - as many of our clients have realized, reviews power benefits like Google Seller Ratings that can accelerate CTR, conversions, and revenue. Reviews can also be used to improve traffic, on-page conversions, and in a number of marketing campaigns. Google Seller Ratings is just the beginning!